In a medium bowl, combine mayo and wasabi. Add crab, bell pepper, cilantro, lemon juice, salt and pepper. 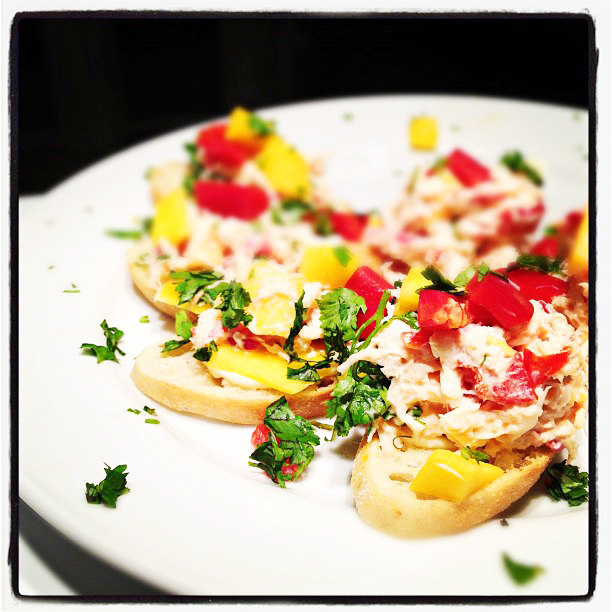 Top the pieces of sliced french bread with the crabmeat salad, garnish with cilantro and serve.